belt and deck cushioning	 Double-sided .5mm phenolic coated deck, 3.0” rollers and multi-ply Habasit® belt combine to provide a low maintenance system for thousands of miles. Polyurethane shock absorbers ensure just the right amount of cushioning. 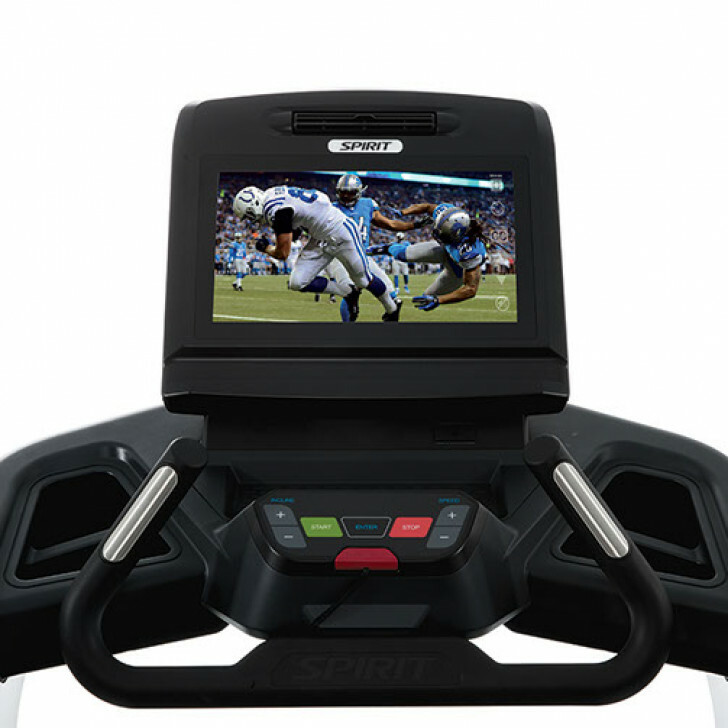 Features	 Console Feedback Muscle Activation Hear Rate % Profile Preset Programs Cooling Fan Cushioning 15.6” touchscreen display, TV tuner with coaxial or HDMI input, wifi 802.11 b/g/n or ethernet, 3.5mm headphone jack, bluetooth 4.0, USB service port It’s important to understand which muscle groups are gaining the most benefit during your workout. On our treadmills, you will be using your glute (bottom), hamstring (back of your thigh), quad (thigh), calf, pec and arm muscles. Heart Rate training is proven to be one of the best ways to measure your workout. Our Heart Rate % Profile gives you a quick reference of your % compared to maximum projected heart rate. The LED lights up in Amber for 50-60%, Green for 65% to 80%, and Red for 85%+. A wide variety of popular workouts for the average user while fitness tests, heart rate programs and a custom program are available for more serious users. The fitness test programs include a Gerkin Protocol Fitness Test and 6 Readiness Test Programs (Army, Navy, AirForce, Marines, Coast Guard, PEB). 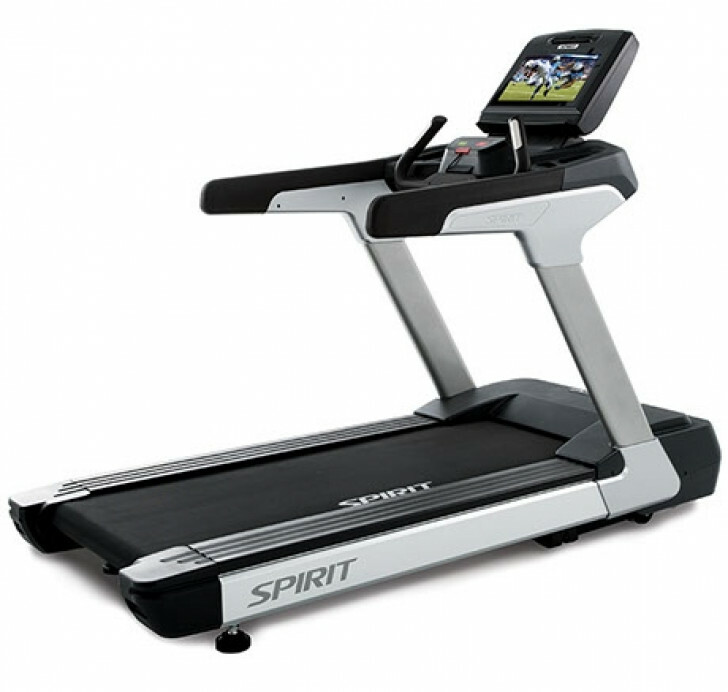 Cooling fans that swivel are standard on all of our treadmills. This may just be the reason you extend your workout by a few minutes. 6 cushions evenly distributed throughout the unit ensure a comfortable experience.